Cory Bratland is the youngest of 5 children who grew up on the family farm near Willow Lake, South Dakota. Cory attended school at Willow Lake High School and graduated with an A.A.S. degree in Ag Business Management at Lake Area Technical Institute in Watertown, SD. 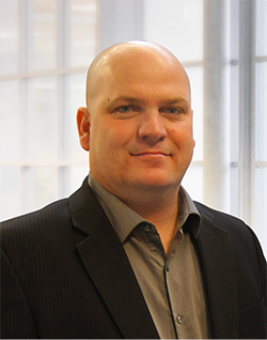 Cory began his career in the agriculture field working as a cash grain marketer and grain trader with Cargill, Inc. While working for Cargill, Inc. Cory held various merchandising jobs across South Dakota and Minnesota. In 2003, Cory got licensed as a Series 3 and 30 commodity broker. In 2008, Cory left Cargill to be an independent commodity broker and started Prairie Ag Marketing Services. In 2009, he partnered with Al Kluis as an affiliate office and in 2010 became Kluis Commodities’ Chief Grain Strategist. In addition to working with Al daily on marketing strategies, Cory also serves private clients through Kluis Publishing and Prairie Ag Marketing. Cory lives near Willow Lake, SD with his wife Erica and 3 children, Hunter, Elliot and Isabella. He actively participates in the family farm that raises corn, soybeans, alfalfa and also runs a cow/calf operation. In Cory’s spare time he enjoys hunting, fishing, snowmobiling and most recently has gotten involved in competition BBQ.